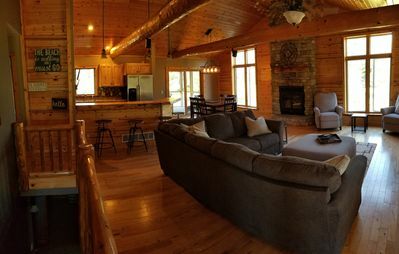 Loon's Bay Cabin on Wildcat Lake. 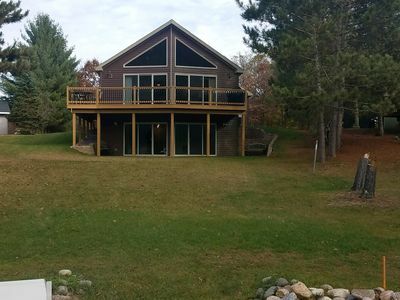 Thank you for considering Loon's Bay Cabin for your Northwoods retreat. 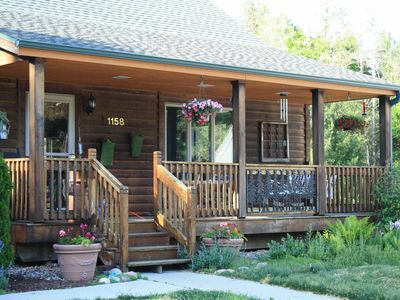 We are located just 4 miles north of the quaint and popular town of Boulder Junction, WI. 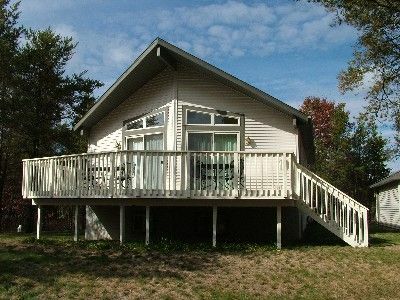 The cabin is on Big Kitten Lake which is part of the beautiful 360 acre Wildcat Lake chain. 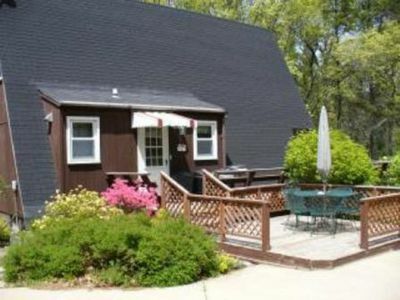 The cabin is available for rent by the week during the summer and nightly during Spring, Fall. 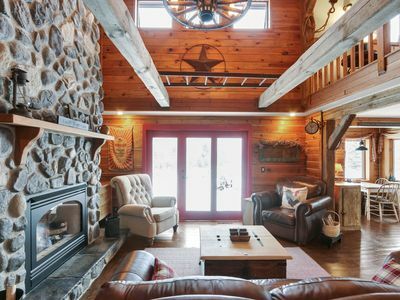 The cabin can accommodate up to 8 people. 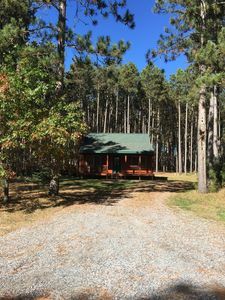 The cabin is perfect for those who want to get away from it all and desire a quiet and peaceful Northwoods experience. 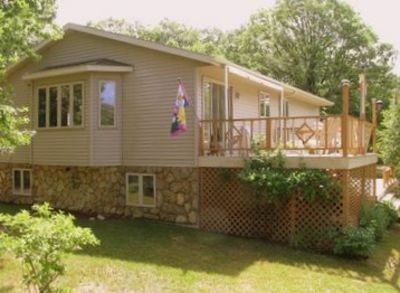 We are situated among towering pines and are less than 100 feet from the water. 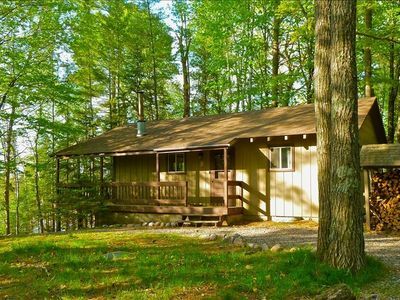 There are very pretty views of the lake and of the unspoiled Northern Highland State Forest land that surrounds Big Kitten Lake. 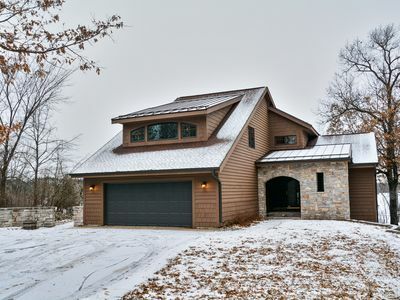 With 4 bedrooms and 2 baths the cabin can accommodate 8-10 people and is spacious enough for two families of 4. 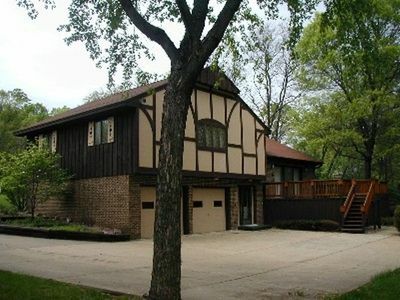 The kitchen is fully equipped with everything you will need and there is a large dining table for gatherings. 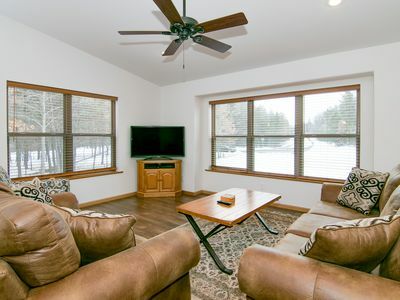 The living room is finished in Knotty Pine with vaulted ceilings and 2 large patio doors going out to the deck. There is a small rec room downstairs for the kids to hang out. We have 2 TV’s with DVD/VCR for movie watching. We DO NOT have Cable TV or WiFi. There is also a foosball table, darts, and video games. 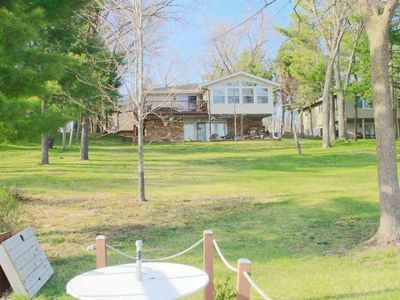 We have 2 acres and over 200 feet of heavily wooded frontage that offers privacy that is hard to beat. Wildcat Lake is one of the best lakes around for seeing wildlife and it is truly a nature lovers paradise. Loon’s, eagles, herons, hummingbirds, pileated woodpeckers, deer, and otters are common sightings. Wildcat Lake and Big Kitten Lake are rated as “ Class A” Musky water so there are great fishing opportunities here. Walleye, bass, and panfish are also common. We provide a 16’ aluminum fishing boat, 2 canoes, and life jackets. 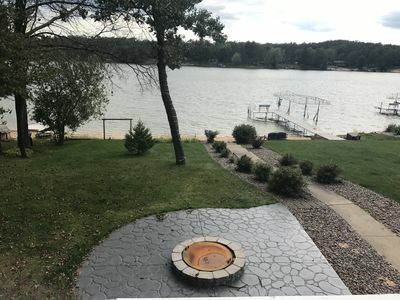 Relax on the deck, take a refreshing swim, catch fish right off our pier, try your luck at hooking up with a Musky, explore the lake for wildlife, take a canoe paddle at dawn, or go for a bike ride on the best paved bike trail in Wisconsin which starts right in Boulder Junction. 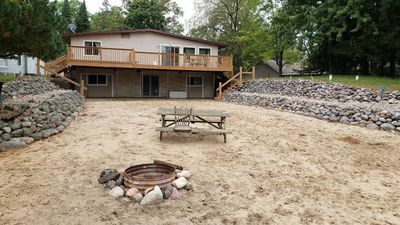 If you love an outdoor lifestyle and want a quiet and peaceful place in the Northwoods that feels like your own, Loon's Bay Cabin is a great choice. 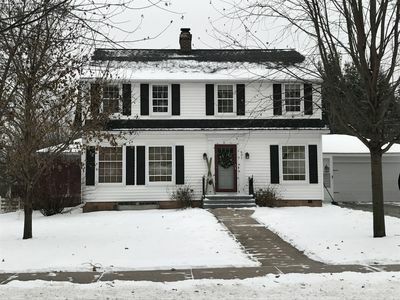 Cozy, Family Friendly Home, Minutes from Lake Wazeecha Recreational Area!! 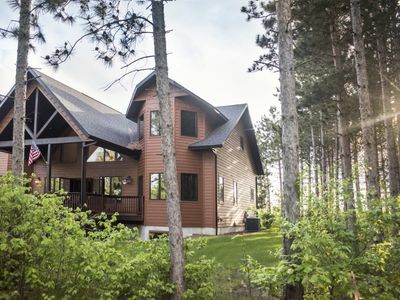 Rustic Chic Vacation Home Steps to Lake Camelot & Minutes to Sand Valley Golf! 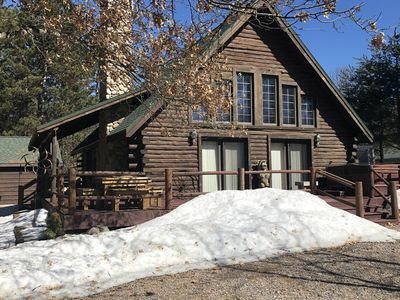 Lake Arrowhead Log Cabin! 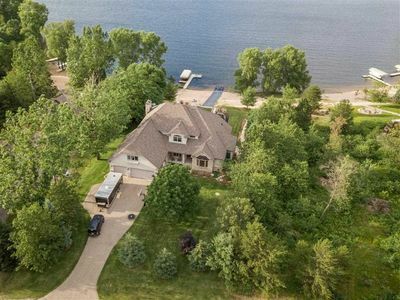 Close to Sand Valley Golf Course! Game Room! 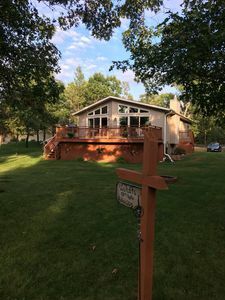 Eagle's Nest Guest House < 2 Miles to Sand Valley - 16 beds!